A wide range of fantastic, and most popular fly, game, sea & coarse fishing magazine subscription offer's browse through the titles below, including Angling Times, Improve Your Coarse Fishing magazine, Sea Angler magazine, Trout and Salmon magazine, Trout Fisherman magazine and we'll help you get the most out of your fishing adventures. Take advantage of the best deals available and subscribe to a fishing magazine today - Also for the fisherman who has everything!! how about a Trout Fisherman magazine subscription as a special gift? - buy today for the best offers. Trout Fisherman the UK's No.1 fly fishing magazine - 13 Copies of Trout Fisherman per year.Trout Fisherman magazine will fulfill your fly fishing tackle and fly instruction requirements', plus it will tell you where to fly fish. If you're into fly fishing, it's a must read, comprehensively covering techniques to catch even more fish, with detailed, informative and friendly advice.Subscribe to Trout Fisherman magazine and benefit from MASSIVE DISCOUNTS to the normal High St Price, plus receive a FREE GIFT worth ££££s.Don't miss out on this bumper 'Trout Fisherman deal! 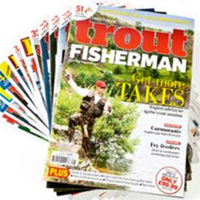 Subscribe this month AND guarantee yourself 13 issues of Trout Fisherman delivered direct to your door. Don't miss out on this amazing offer, subscribe now! View All Offers for Trout Fisherman Magazine Here A Trout Fisherman magazine subscription will also make an ideal gift or present. 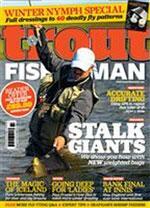 Trout and Salmon is Britain's biggest-selling game-fishing magazine - 12 Copies of Trout & Salmon per year. Trout and Salmon magazine has been the Voice of Game-Fishing since 1955. Every month the finest contributors in the sport deliver informative, inspirational and entertaining writing, offering sage advice on the best Tout & Salmon locations, tackle and tactics with beautiful photography. If you are searching for a new place to fish, Trout and Salmon's Fishing Reports are a collectable record of the state of Britain and Ireland's major game fisheries and have become an important archive for all fly-fishers. Trout and Salmon magazine is also a forum for debate of the most contentious issues that dominate fly-fishing today. Subscribe to Trout and Salmon magazine and benefit from the BEST DISCOUNTS and FREE GIFTS available. Plus FREE DELIVERY. 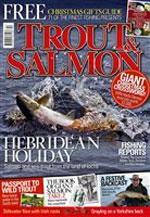 View All Offers for Trout & Salmon Magazine Here A Trout and Salmon magazine subscription will also make an ideal gift or present. 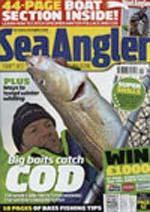 Sea Angler the number one sea fishing magazine 13 Copies of Sea Angler per year.Sea Angler is the leading magazine for sea fishing news, tackle, tactics and marks to fish. If you're a beach or boat angler thirsty for news, fishing stories, tackle tests, where to fish guides, and tips from the experts, then look no further! 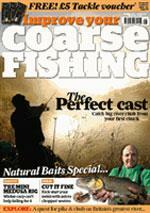 Sea Angler magazine gives you everything you need to catch fish. Subscribe to Sea Angler magazine and benefit from the best discounts and free gifts available. 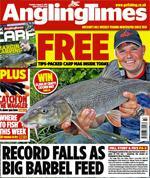 Troutcatcher guarantee to provide the best Sea Angler magazine subscription offers and FREE Delivery. View All Offers for Sea Angler Magazine Here A Sea Angler magazine subscription will also make an ideal gift or present.